In recent years, more and more sources have referred to call centers as the “white collar sweat shop” of our time. The first time I heard this reference, it immediately hit home for me. All the stressful time I had spent either as a CSR, supervisor, manager or director, this made perfect sense to me. Most call centers I am familiar with are in a less than desirable location within the office, and a place where work is sent that others cannot complete – things the CSR’s can do while they are “on the phones”.Think about the typical call center environment for a moment – perhaps your own. They are very often made up of mundane cubicles allowing for little to no creativity. Call times and wait times are the metrics that matter most, which automatically causes each call to be about the transaction rather than interaction. And last but certainly not least, many CSR’s see limited growth opportunities, even in companies experiencing tremendous growth. 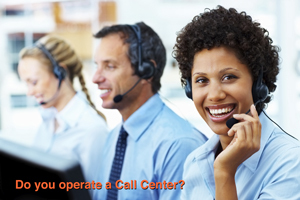 Comments Off on Do You Have a Call Center or a Relationship Center?